Judith Ann (Bruen) Marcheterre, 82, formally of Hudson, passed away peacefully on Tuesday, April 9, 2019, at Marlborough Hills Rehabilitation & Health Care Center, surrounded by her loving family. Judith was born in Marlborough, MA, on October 8, 1936, a daughter of the late Alexander and Mabel (Kline) Bruen. She supported her family as a laborer at several local companies, before eventually retiring. She was a long time Hudson Eagles Auxiliary member and enjoyed spending time with her many friends at the Hudson Senior Center. 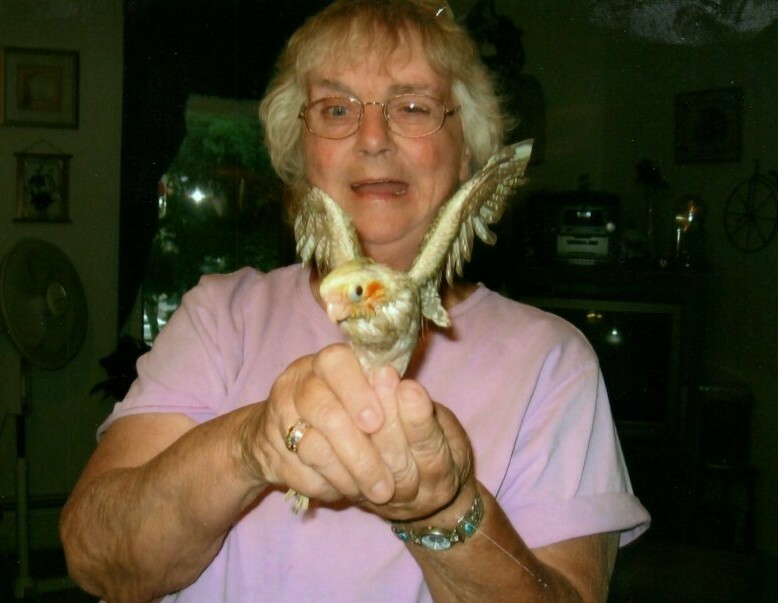 Judith was an animal lover, especially her beloved bird “Patches”. Judith is survived by 4 sons, Albert Marcheterre of Vermont, Kevin Marcheterre and his spouse Patricia (Ruby) of Milford, William Marcheterre of Maynard and Edmund Marcheterre and his spouse James Mosso of Marlborough; a daughter, Gloria Barry and her husband John of Maynard; a sister Mary Milak of Stow; a brother, Charles Bruen of Stoutland, MO and several grandchildren, great-grandchildren, nieces, and nephews. She was predeceased by her sons, Normand Marcheterre, Jr., Donald Marcheterre, Sr. and Wayne Marcheterre and 3 sisters, Barbara Townsend, Eleanor Coughlin and Alice Garnett. Calling hours will be held from 4 pm until 7 pm on Friday, April 12, 2019, at TIGHE HAMILTON REGIONAL FUNERAL HOME, 50 Central St., Hudson, MA. A funeral service will be held at 10 am on Saturday, April 13, 2019, at St. St Luke's Episcopal Church, 5 Washington St, Hudson, MA; followed by interment at Forestvale Cemetery in Hudson.